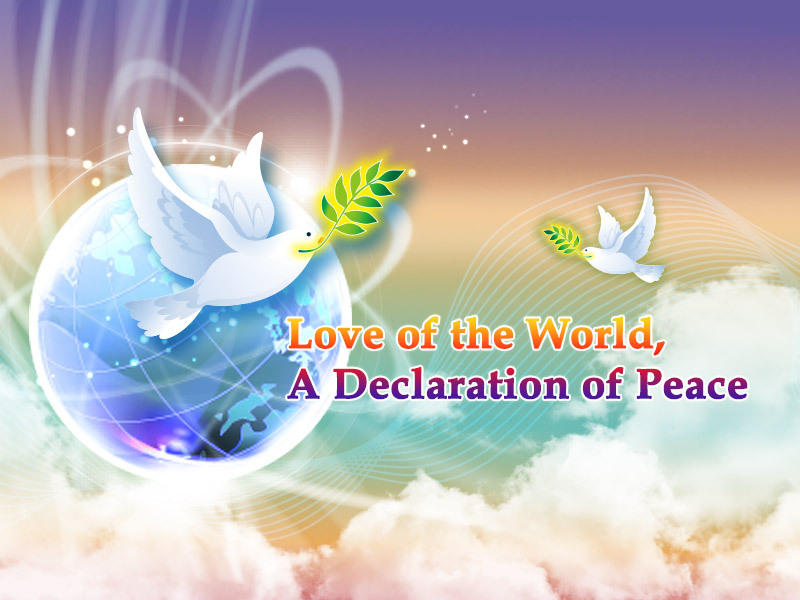 "Love of the World, A Declaration of Peace" declared after the three massive earthquakes in 1999 (Columbia, Turkey, and Taiwan). Appeal to the world that we should respect life, we should protect nature, we should love ourselves and others, and we should love our own countries as well as other people's countries. The year 2000 is a testimony to human civilization and serves as a milestone in creating a better world. By means of "Love of the World, A Declaration of Peace," we express the aspirations of all humanity. Praying for the well-being of all people in a new century, we wish to sound the bell of peace to awaken mankind's good intentions through which we will strive for a glorious future together. It is believed that only a sincere heart can touch the depths of one's soul. Therefore, we truly hope that those of all ages, different beliefs and races, both rich and poor have a genuine, cheerful and peace-loving heart. As a result, they will show respect and love for their families, others, their countries and the world through their actions. And we are looking forward to returning to a harmonious world in which there is no suffering, no fear, no war and no pain. We anticipate that the spirit of love and peace will spread across the world, turning evil into good and stopping war. Creating a better tomorrow with wisdom will prevent human tragedies from happening again and will bring progress and prosperity to all countries. If all people respect and learn from one another open-mindedly, conflicts will be transformed into long-lasting peace. Our love will keep the water clean and the environment beautiful forever. This way, our offspring will enjoy a pleasant, harmonious and affluent world. 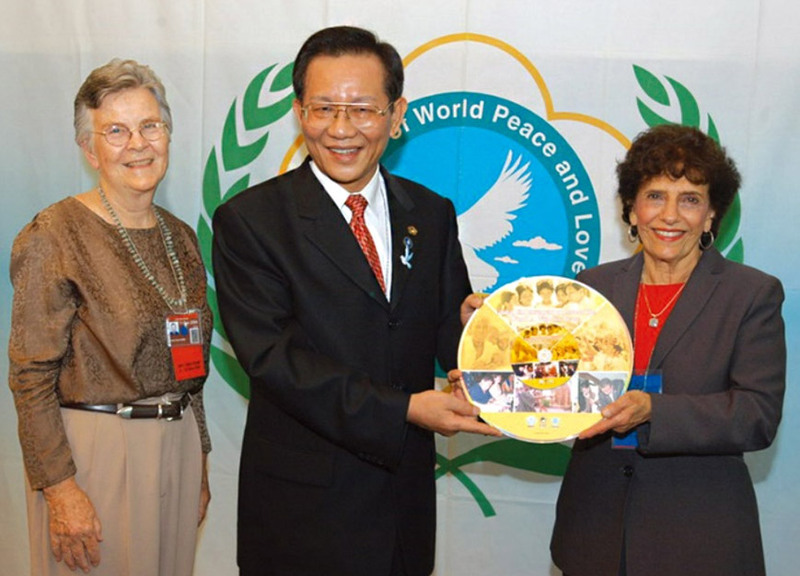 In September 2004, during the 57th Annual UN DPI/NGO Conference, Dr. Hong presented a disk containing 2 million signatures gathered from 158 countries endorsing “Love of the World, A Declaration of Peace” to Joan Levy, Chair of NGO/DPI Executive Committee, and Joan Kirby, Chair of the 57th Annual UN DPI/NGO Conference, which was later submitted to UN Secretary-General Kofi Annan.